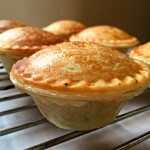 Mini Mushroom Pies made in a pie maker, an excellent meat-free appetizer for parties and gatherings. 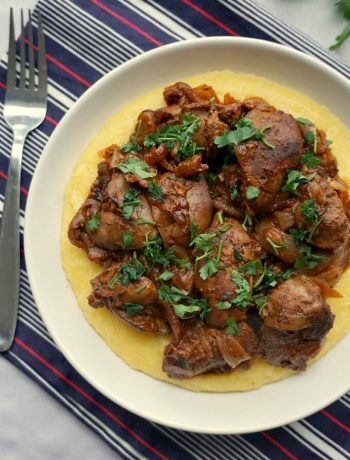 Easy to put together, full of flavour and delicious. Hands up who likes pies! I certainly do, and can’t have enough of them. Whether you go for the savoury or sweet version, you know you are in for a treat. I was not aware that the humble pie can be traced as far back as the ancient times. Of course, it was not quite as the pie we know today. But if we talk about modern pies, the British ones are known to be the best. And there is no room for argument here. But if you have a pie maker, things are even simpler. 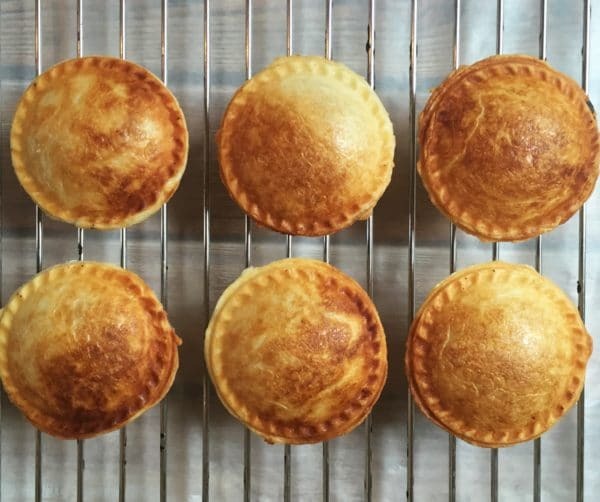 These mini pies are ready in 10 minutes in the pie maker, and you are sure to get perfectly cooked pies without the so dreaded soggy bottom. Do do you make pies in the pie maker? Puff pastry is my usual option whenever I use the pie maker. The pies are beautifully golden and flaky, and simply melt in your mouth. You can either use puff pastry that comes in a block, or ready-rolled, which is even easier, and totally mess-free. Use a glass or a larger cookie-cutter to cut up 12 rounds, 6 will be used for the bottom, and 6 for then top. Place the bottom pastry, add the filling, then top up with the pastry lid, and close the pie maker. The pies will be ready in about 10 minutes, but you can check the pies from time to time, to make sure they are cooked. NOTE! Make sure the filling is completely cooled off before adding it to the pie maker. A hot filling is likely to prevent the bottom pastry from cooking properly. 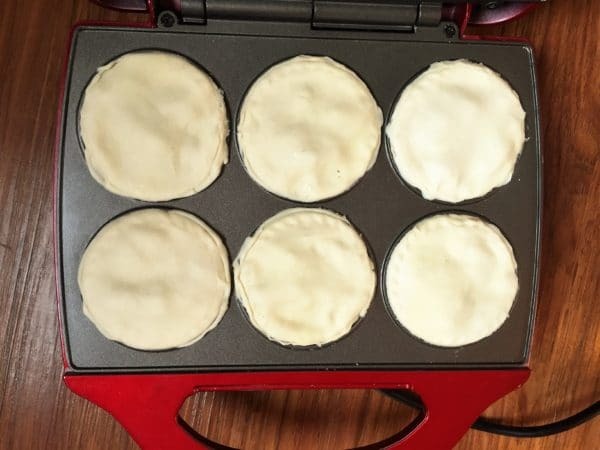 How do you make mini pies without a pie maker? Now, if you do not have a pie maker, not to worry at all! 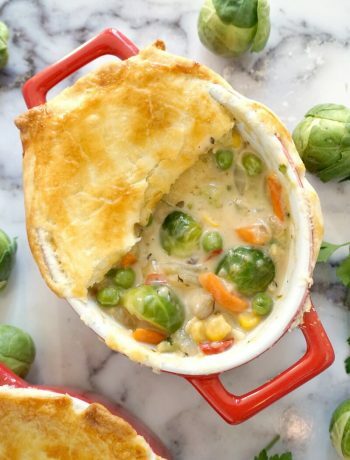 You can very well use a muffin tin, the regular size, and have the pies baked in the oven. I might get the timings wrong, since I have not tried them in the oven, but I think they would be best baked at about 180 degrees Celsius, or 350 Fahrenheit for about 20 minutes or so, but obviously do keep an eye on them. And don’t worry too much if they don’t have the perfect shape, the taste is what matters after all. And that’s where you are a winner. The pies make an excellent snack for the kids’s school lunch, or a nice after school snack, when little tummies get hungry and need a quick boost of energy. If you’ve tried my MINI MUSHROOM PIES or any other recipe on the blog then don’t forget to rate the recipe and let me know how you got on in the comments below, I love hearing from you! You can also FOLLOW ME on FACEBOOK, and PINTEREST to see more delicious food and what I’m getting up to. 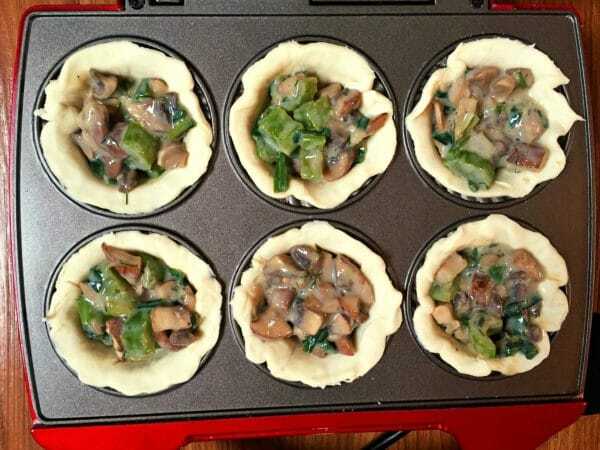 Mini Mushroom Pies, an excellent no-meat appetizer for parties or gatherings. Cut the onion, garlic and spring onions. Melt the butter in a large frying pan and add the onions and garlic. Fry gently until soft, then chop the celery sticks and mushrooms and fry together on a low to medium heat until tender. 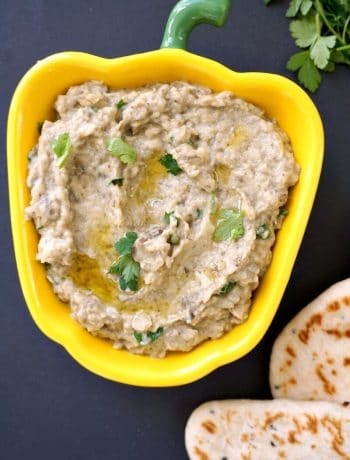 Mushrooms have a high water content, once all the water has been released and absorbed, add the milk and flour and mix well with a wooden spoon until you get a creamy texture. Remove from the heat, season well with salt, black pepper and dill. Dust some flour onto the working surface and place the ready rolled puff pastry. Use a round cookie cutter or a glass to cut 12 rounds. 6 will be needed for the bottom and 6 for the top of the pies. I found that the bottom ones is best to be slightly larger than the ones that form the top. Line each of the lie maker moulds with one of the larger pastry round. Fill each pie with the mushroom mixture, then top each pie with the smaller pastry lids. Securely close the pie maker and switch it on. Cook for about 10 minutes, then switch the pie maker off and carefully remove the pies. These little pies look so cute and perfect 🙂 and I bet they taste great.